The legendary urban planner, Daniel Burnham, famously said “Make no little plans; they have no magic to stir men’s blood”. This “dream big” sentiment rings true for aspiring urban planners who want to make a large-scale impact on a city or community. 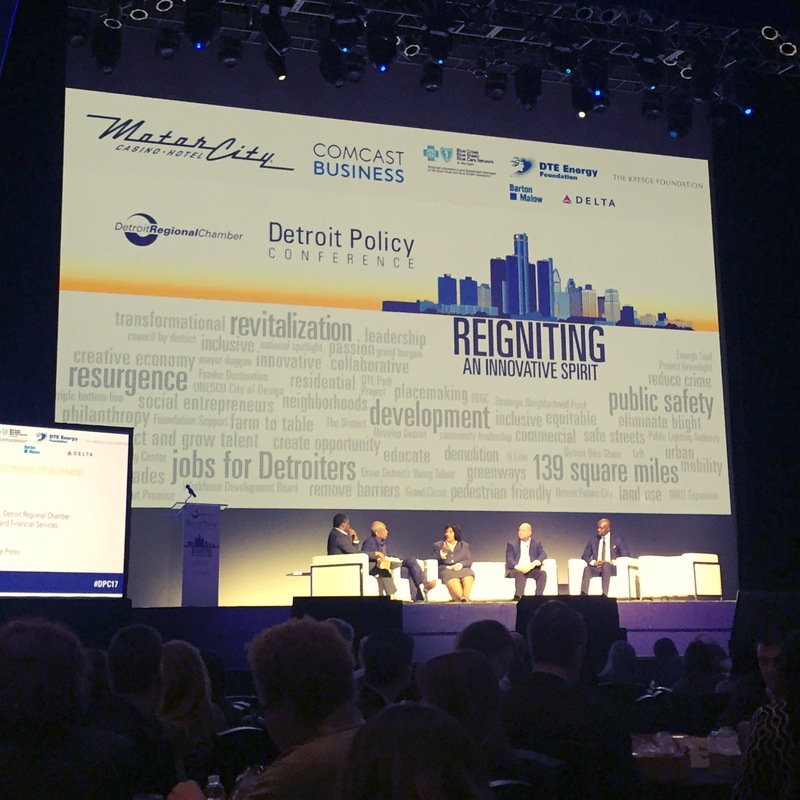 Since Detroit declared bankruptcy in 2013, a cross-sector network of civic leaders has taken on the challenge of creating and implementing an inclusive plan for long-term development. —Cornetta Lane, founder of Pedal to Porch and Challenge Detroit alumna, on the importance of connecting people to the stories of existing communities and building neighborhood resiliency. —Janette Sadik-Khan, Principal of Transportation at Bloomberg Associates and author of Streetfight: Handbook for an Urban Revolution, on the need for a fundamental shift towards diverse transit options and accessible communities. –Chris Uhl, with Rock Ventures, on the challenges of working closely with a strong network of philanthropic partners in the city. 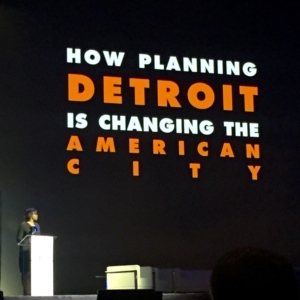 From these panels and discussions on Detroit’s growth, it was clear that planning and policy do have the ability to create real and lasting change. Improved streetscapes increase accessibility and perceptions of safety. Zoning and tax credits guide development. Green space and transit infrastructure attract investment and lead to job growth. The affordability and availability of housing fluctuates (for better or worse) as the economic profile and culture of a neighborhood shift. Of course, plans are only valuable if implemented. Over the course of the day, I heard a lot of “big plans” that cannot be realized without a variety of partnerships, resources, and civic enthusiasm.